"Northeast Greenland has been relatively stable. This is no longer the case." 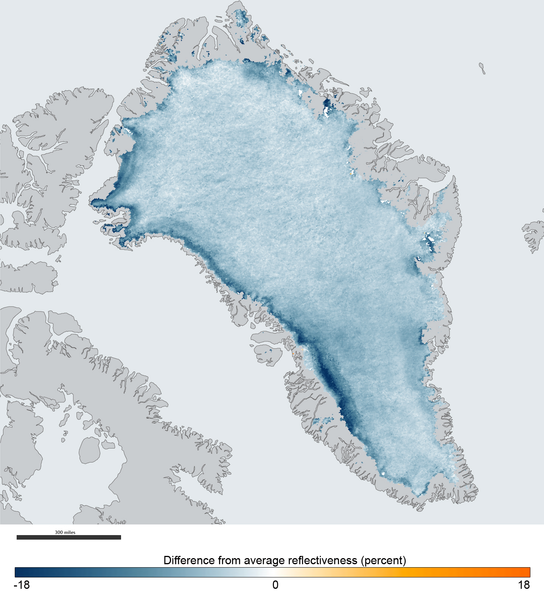 The journal Nature Climate Change published a study that found from 2003 to 2012, northeastern Greenland disgorged 10 billion tons of ice annually into the ocean. A three-year period of exceptionally high temperatures recently has accelerated the flow of an ice stream that flows to the coast in northeastern Greenland. The ice stream, called Zachariae, is the largest drain from an ice basin that covers a huge 16 per cent of the Greenland ice sheet. Previously, the ice stream had been constrained by massive buildups of ice debris choking its mouth. But a surge in temperature removed this blockage and is now flowing freely into the North Atlantic. "Northeast Greenland is very cold. 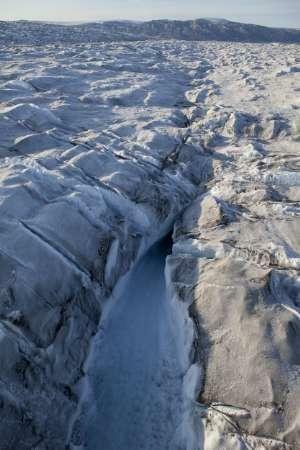 It used to be considered the last stable part of the Greenland ice sheet," said Michael Bevis, an Earth sciences professor at Ohio State University, who led the study. "This study shows that ice loss in the northeast is now accelerating. So, now it seems that all the margins of the Greenland ice sheet are unstable." "The Greenland ice sheet has contributed more than any other ice mass to sea level rise over the last two decades and has the potential, if it were completely melted to raise global sea level by more than seven metres (22.75 feet)," said Jonathan Bamber, a professor at Britain's University of Bristol. "About half of the increased contribution of the ice sheet is due to the speedup of glaciers in the south and northwest. Until recently, northeast Greenland has been relatively stable. This new study shows that it is no longer the case."